Officially the home stretch – four weeks and counting. We had a great week and continued to get a lot accomplished. 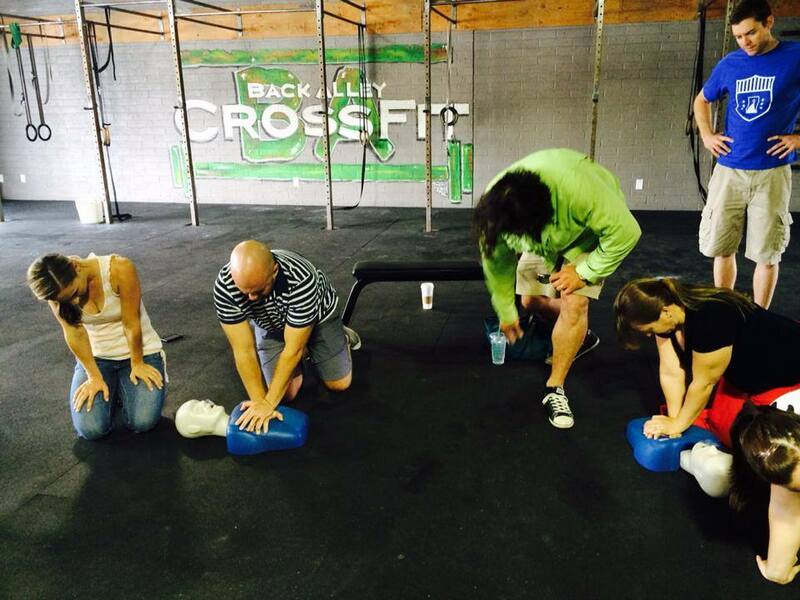 Our box, Back Alley CrossFit, hosted an infant through adult CPR class on Sunday. My certification was up in February, so it was perfect timing, especially for the infant refresh! 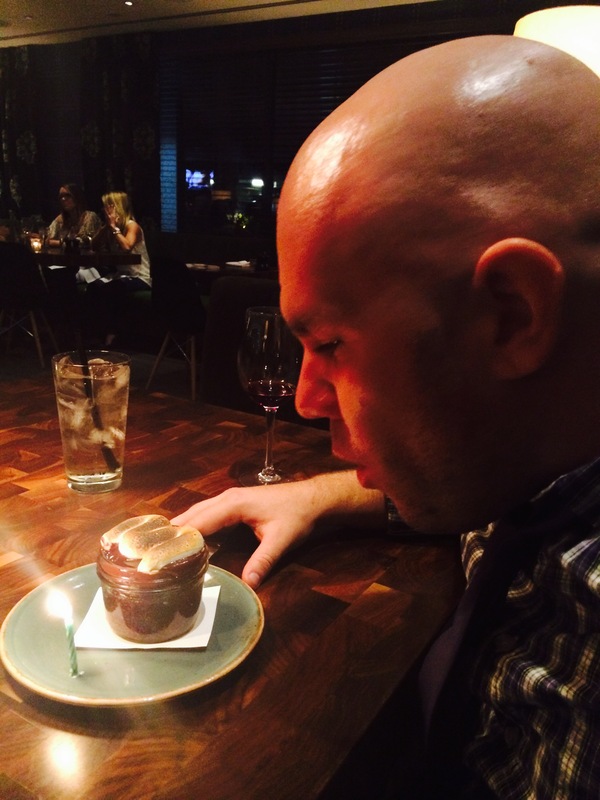 This week was also the hubs birthday. I stretched out the celebrations, cooking us a big breakfast after CrossFit that morning and reserving us a great table at the new hotspot, The Henry. We enjoyed a fabulous meal and quiet night. On Saturday, the celebrations continued with massages at our health club, lunch in the sunshine and manicures. Saturday also kinda subbed as a babymoon, since we decided not to go anywhere. 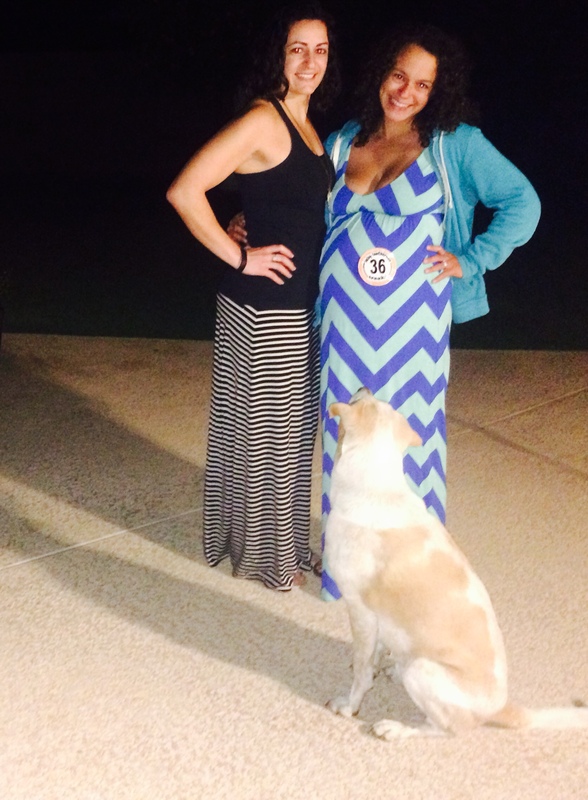 We definitely took advantage of a nothing-to-do kinda day. After our spa excursions, I read and napped while Chad enjoyed the Final Four games. We both wish we had been able to take a babymoon, but I bet that come baby #2, we’ll be exceptionally ready for a long weekend away together! We had a doctor’s appointment on Monday and an ultrasound on Friday. During the Monday appointment, we were told I didn’t have any dilation, but since that appointment, I’ve dropped and had quite a bit of tension and increase in Braxton Hicks. 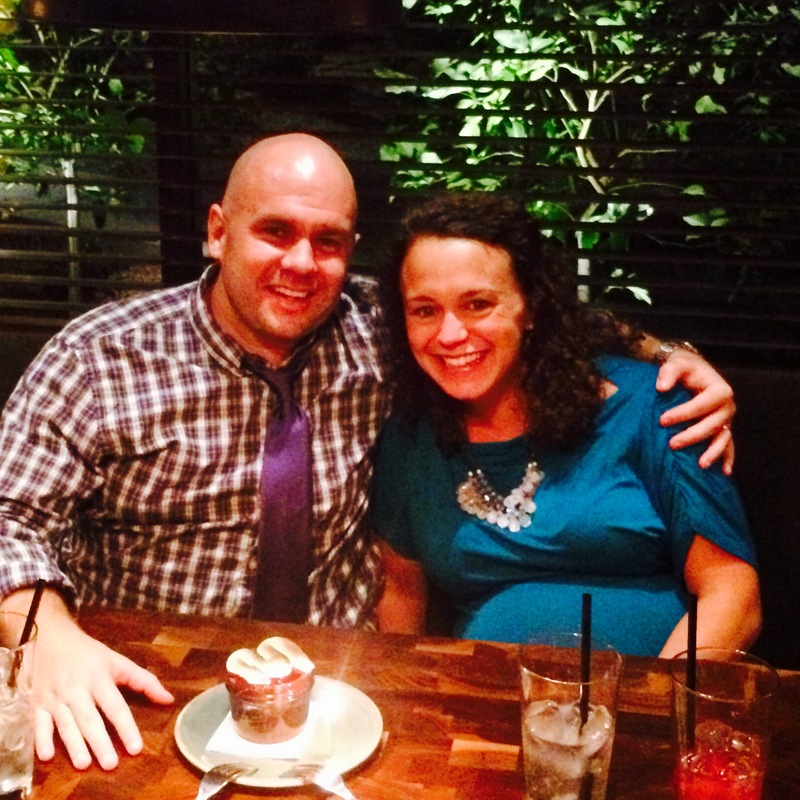 The ultrasound confirmed the baby’s position and size (about 6# right now). Will be interested to know what changes have occurred in Week 37. The only other thing I really can’t get over or through my head is some chapters I’ve read on preparing pets. In one book, it said, “either start distancing yourself now from your pet or get rid of it.” UM, EXCUSE ME?! That was ludicrous and I can’t seem to get past it. I’ve said it before and I’ll say it again, I totally understand that life will change for all three of us, but when a new human child comes into the family, the parents aren’t advised to start distancing or get rid of child one, right? Frankie has been a guardian angel to Chad and me separately and together. He’s also taught us a lot about life. On our other blog (that I haven’t updated in months), I wrote about some of the life lessons Frankie has shared. I’m going to share here, too. It’s our hope that Frankie will also be able to teach Baby L some of these during their time together. Some days, when Frankie is playful and sweet, I’m struck by his unconditional love, patience and forgiveness. Those qualities are important reminders of what I need to work toward in life. There are days where I lack all three…But, then Frankie comes trotting in, squeaky toy in mouth to remind me there’s more to life; that it’s important to play, to rest, to seek adventure. To love those who protect and care for me. To never stop learning. Looking into those big brown eyes, I can’t be anything but happy and full of love. A dog’s love and loyalty come so naturally for them and so much harder for their human counterparts. I’m happy Frankie is in my life to teach me and remind me of life’s simplest pleasures. Try something you don’t like; you might just end up surprising yourself. Good friends are worth loyalty. 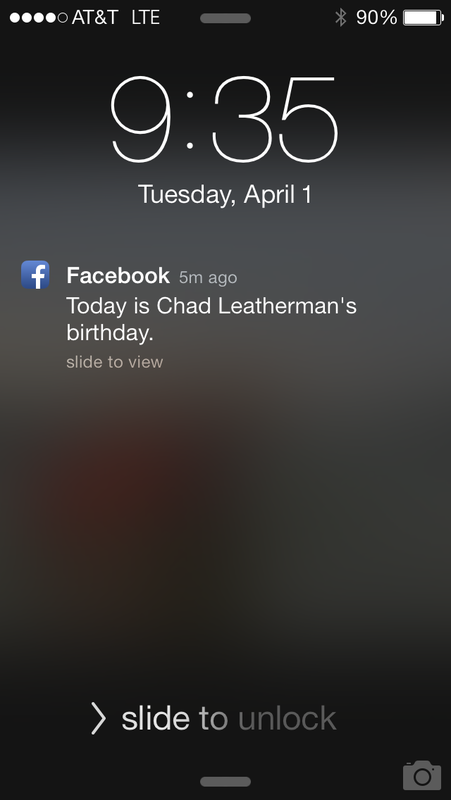 March 31. This WOD was for my friend Brienne. Read more about her here. metcon: 4 rounds. I completed 2 rounds in 13:41 using 65#. metcon: Finished the following in 16:51. I cut what was programmed in half to be able to maintain a decent heart rate and be able to finish (so double everything for the programmed portion; I’m only listing what I did). Also had to sub in some movements for the sake of my belly. Was the right call; still got the heart rate high, but felt accomplished finishing. Food: pretty clean/paleo. Same beverage cravings apply from previous weeks. Appetite is waning. 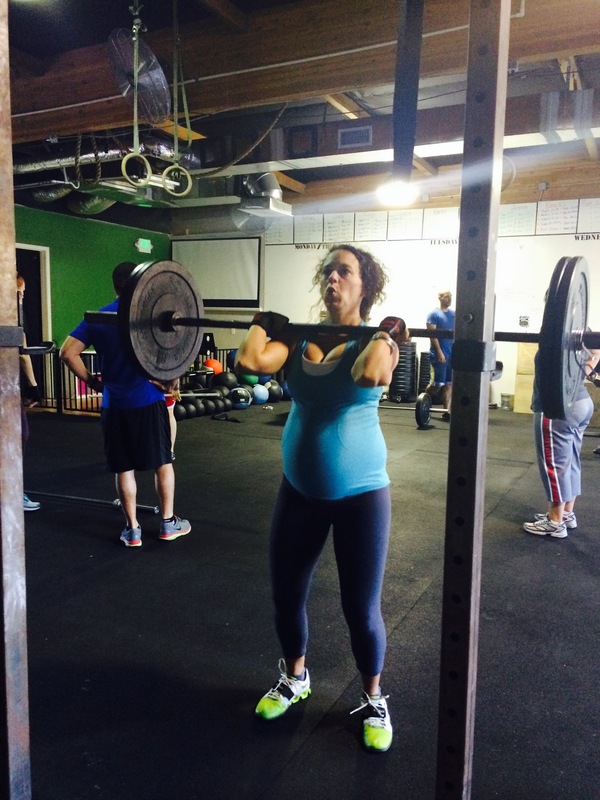 Posted on April 6, 2014 by crossfitpregs. 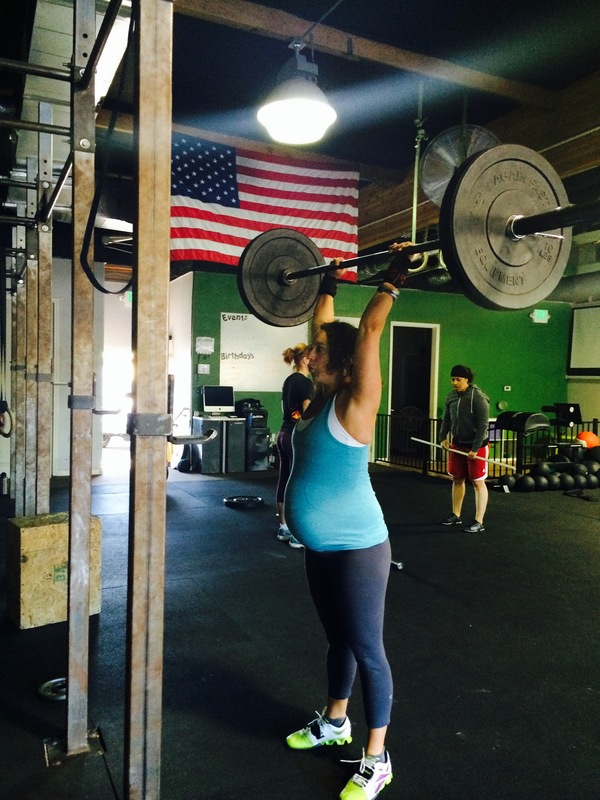 This entry was posted in CrossFit and tagged CrossFit, CrossFit Mom, CrossFitandPregnant, CrossFitting, dogs and pregnancy, Exercise Pregnancy, Fit Pregnancy, FitFluential, pregnancy, pregnant, Strength training, WOD. Bookmark the permalink. ← Case of the Mondays? Think again. 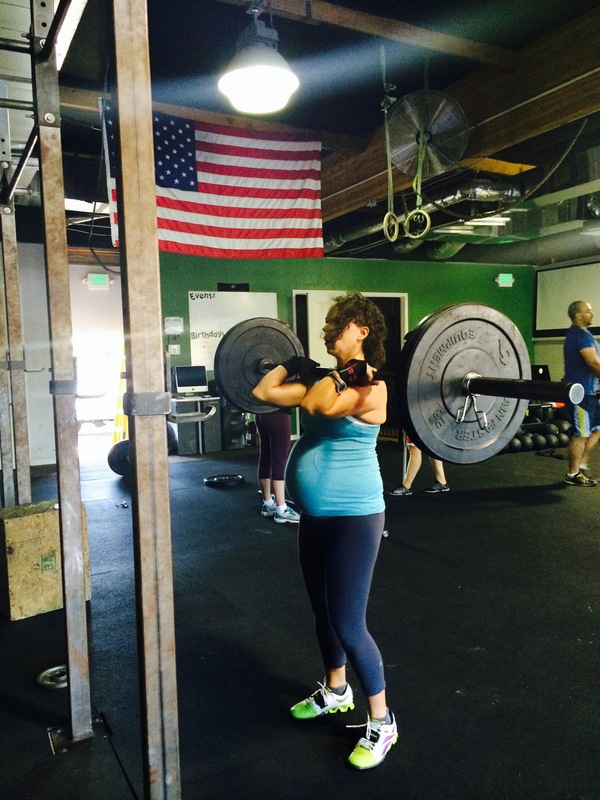 I am neither cross fitting, nor pregnant, but I love reading about it on your blog. Keep up the good work! And your dog is adorable!